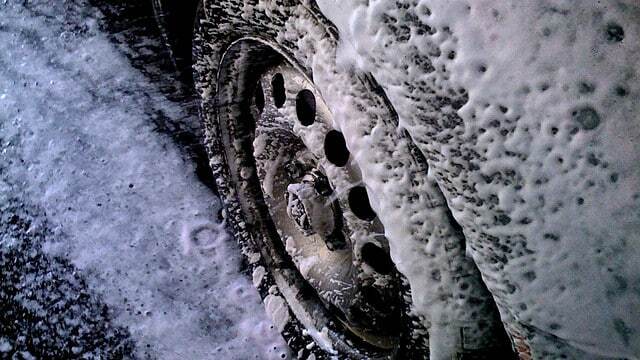 Wash up on our car wash business market research report for your car wash & detailing success. Learn about trends in the Car Wash Business and where to find more info about how to open your own Car Wash Business. Don’t forget you can receive free or low-cost training and free professional business advice, from your local Small Business Development Center! Get a free Car Wash Business business plan template on our Business Plans page. This Car Wash Business industry summary is from First Research which also sells a full version of this report. Companies in this industry provide cleaning, washing, and waxing services for cars, trucks, vans, and trailers. Major US companies included Autobell Car Wash, Mr. Clean Car Wash (owned by Procter & Gamble), and Wash Depot. The US car wash industry includes about 15,000 establishments (single-location companies and branches of multi-location companies) with combined annual revenue of about $6 billion. Key industry drivers include consumer spending habits and new car sales. The industry includes full- and self-service car wash facilities, as well as truck and bus washes and vehicle detailing services. Demand is driven by new car sales and growth in consumer spending. The profitability of individual firms depends on favorable location and efficient operations. There are few economies of scale. Chains have advantages in advertising and customer recognition. Small firms can compete successfully by having good locations. The industry is highly fragmented: the 50 largest US companies hold less than 20 percent of the market. This Car Wash Business market research report summary is from IBISWorld which also sells a full version of this report. The Car Wash industry relies heavily on discretionary spending and the driving habits of consumers. As such, the industry is vulnerable to slower economic conditions and has faced reduced revenue over the last five years. Recent improvements in consumers’ disposable income will help the industry rebound in the coming years, with anticipated revenue growth of 3.3% annually to $7.7 billion by 2018. The total number of Car Wash Businesses has declined in recent years to approximately 13, 177 and have forced remaining establishments to expand or diversify their services. With continued economic growth, car sales will quicken and increase the number of motor vehicle registrations in the United States. Through 2018, motor vehicle registrations are expected to increase 1.3% annually. This will result in increased consumer demand for aftermarket services such as car washes. IBIS World segments car wash business customers into household, business, and government customers. Business customers contribute 22% of industry revenue. Revenue from this segment is largely derived from servicing delivery vans and taxi cabs. This segment includes businesses that depend on motor vehicles for the daily running of the company, as well as taxi and rental car companies, and truck businesses — many of whom can not afford in-house repair and maintenance shops. “particularly independent companies that do not have the option of in-house repairs. Slower economic activity during the recession led to fewer businesses using vehicles to conduct trade, however a resumption of economic growth since 2010, has seen this segment strengthen. Here is a Car Wash business labor market summary from the Bureau of Labor Statistics. Car wash attendants are classified under Hand Laborers and Material Movers. Hand laborers and material movers transport objects without using machines. Some workers move freight, stock, or other materials around storage facilities; others clean vehicles; some pick up unwanted household goods; and still others pack materials for moving. Employment of cleaners of vehicles and equipment is projected to increase 19 percent from 2010 to 2020. Faster than average growth in automobile dealers, where many of these workers are employed is expected to drive employment growth for this occupation. However, a decline in the use of full-service car washes in favor of automatic conveyors may to limit their job growth somewhat. Job prospects for hand laborers and material movers should be favorable. Despite slower growth in these occupations, the need to replace workers who leave the occupations should create a large number of job openings. As automation increases, the technology used by workers in some of these occupations will become more complex. Employers will likely prefer workers who are comfortable using technology such as tablet computers and handheld scanners.